Aspire from Pete Lewis on Vimeo. - Plural effusions, surgery, abscess drainage, and other general use. Aspiration is typically performed with basic syringes or electromechanical pumps and systems. Basic syringes require two hands to operate, are volume limited, and do not maintain consistent aspiration force. Electromechanical systems can aspirate more volume with increased force, but are expensive, can be difficult to use, require set-up and training, and do not give the clinician tactile feel or feedback during aspiration. 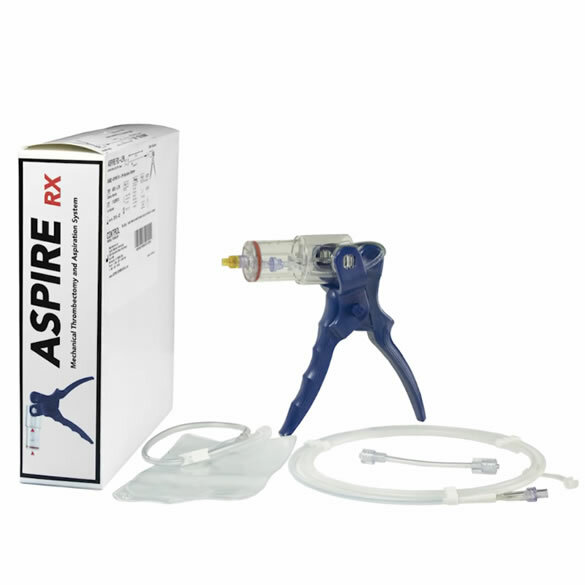 The ASPIRE Mechanical Aspirator is a novel hand-held Mechanical Aspirator that consistently aspirates volume with speed, force, and control. The ASPIRE Mechanical Aspirator also includes safety features that allow users to instantly start, stop, increase, decrease, or pulse aspiration force.